You know it’s a party because it non-specifically goes until “?” Otherwise it’s just be painting! Come join us Saturday morning for a fun time of fellowship with like-minded friends! 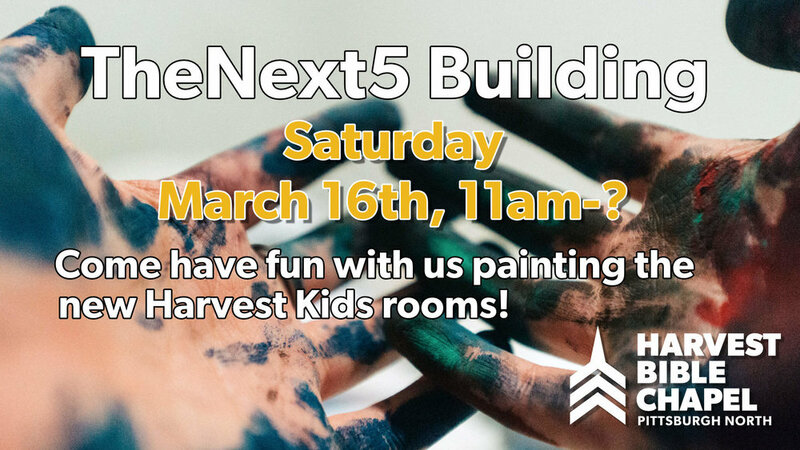 We’ll be painting the new Harvest Kids rooms in the expanded space adjacent to the kitchen and Pastor Jeff’s office. Please reach out to Mandy Moll with any questions regarding this event. Please plan to dress appropriately this week as we would like all who are able to stay after service to help pack up the worship center space, the nursery, and toddlers rooms. Pizzas and water will be provided. Join us for a fun movie night with friends and family, the Harvest family! Whomever makes a mean groundhog chili = instant win! You think your chili is good? The best, even? Prove it. Whip up a batch, bring it to HBC, and let's see whose is judged to be the best. Prizes awarded! To sign up, email Erin Miller. Vote for the best with the leftover change in your pocket and benefit The Asservo Project to stop human trafficking! We want everyone to come out, have some chili, and get to know the Harvest family! 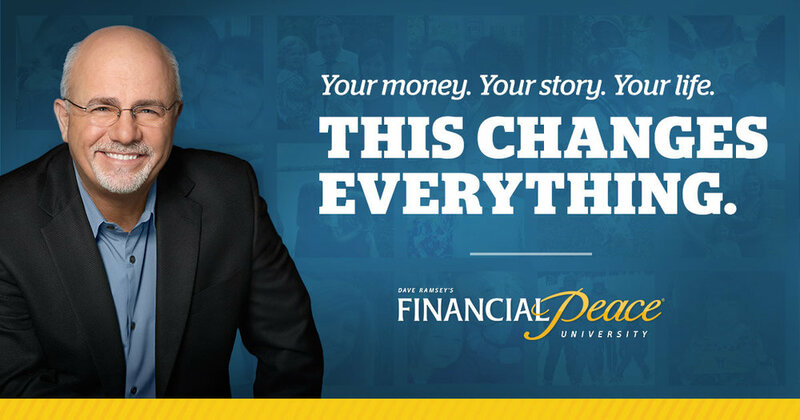 Financial Peace University is Back! Doing God's thing, in God's way, gets God's results. In marriage, in parenting... and yes, in handling money. Make a New Year's resolution to get out of debt and finally get on track with your finances by attending Financial Peace University..
Join certified FPU instructors Alex and Stacie Giannetti Wednesday evenings starting in January and through February! "Take control of your money, plan for your future, and transform your life." To register, click HERE (You must register online before the first meeting to get materials and watch the first session online). Baptism: Have You Professed Your Faith in Christ? Baptism is the biblical profession of faith - the public identification with the death, burial, and resurrection of Jesus Christ. 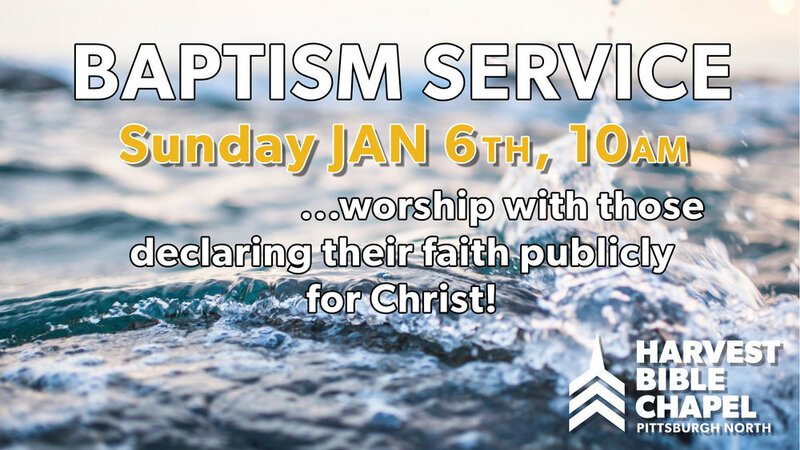 And we will be celebrating our next Baptism Service on January 6th. If you need to take this step of faith, or for more information, email Pastor Jeff. This is a unique Q&A style service where any and all topics in the Bible are fair game for teaching and discussion! Jeff and the elders will study, discuss, and prepare on each subject. We will also have a wireless mic available if anyone wants to ask something additional or for clarity during the service! Add a question below online! Join us for the ever fun, very insightful, always educational, and absolutely intriguing Q&A week on Sunday! Remember, he'll be answering many on Sunday, but those we don't have time for will then be answered on the blog...so don't hold back on asking. Listen to previous Q&A days or check to see if your question has already been addressed on the Sermons page. Come join us for a two part series about the truths of Christmas according to God’s Word! Bring the whole family and some friends for back-to-back days of worship and teaching! This evening service will be a candlelight service and the children's choir will perform! Trades of Hope party to benefit the Ford family accessible van fund. Includes refreshments and bead making. Anything purchased at the party will arrive by Christmas, so come get some early shopping done! Contact Erin Miller for more information. If you are married, then your relationship with your spouse is the most important relationship you have on this earth. More than your kids, more than your friends, more than your coworkers. However great your marriage is, or isn't, this is an opportunity to grow closer to the person with whom you are one. Actually this is one of TWO opportunities, so grab one now! This event can change your marriage, your home, your life! for God's glory. In our day of family breakdown, divorce, and infidelity - stand up and go after the thing that God has called you to: oneness with your spouse. Fun for the whole family! Join us Saturday, October 27, at 5:00 for games, prizes, food, and of course, CANDY! The church will be providing Chick-Fil-A, just bring a dish to share! Baptism is the biblical profession of faith - the public identification with the death, burial, and resurrection of Jesus Christ. And we will be celebrating our next Baptism Service on October 7. Have a Heart for Hurting Children? Attend the "Safe Families" Event! Do you have a heart for hurting children and families? Join us for a special morning training with Safe Families, a ministry of hospitality to families in crisis, helping keep children out of the foster care system, and see how you can make a difference! Come to learn more about Safe Families and to take your next step to joining the Safe Families for Children movement! Wonder what role you should serve in? Learn more here! This training will equip you to serve as a Host Family and Family Friend. 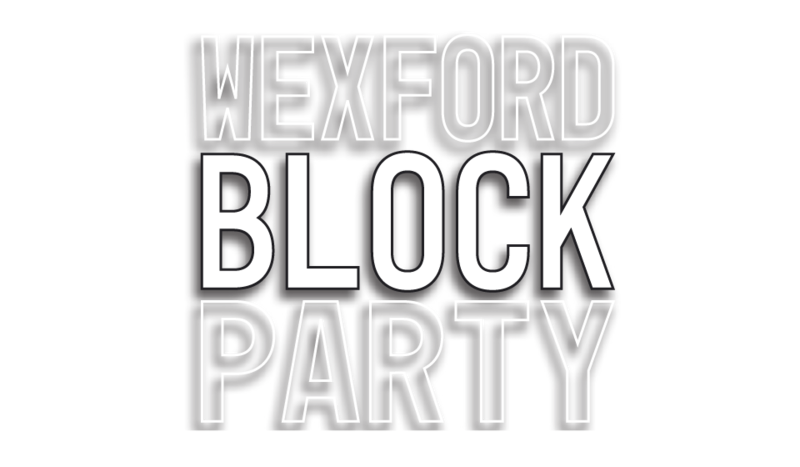 In conjunction with Northway Christian Community, Chick-fil-A, Hefron-Tillotson, Walnut Grill and Allegheny Health Network we are throwing the ultimate BLOCK PARTY (official website)! First Responders - Fire Trucks, etc. Volunteers needed! Please help us throw this party! Sign-up for a *1 hour time slot in one of the areas of need below. Matt and Lexie Koll are raising funds for their yearly mission trip to help the children of the Dominican Republic. Donate as desired per wash.
Tell your friends; bring your cars; pray for sun! Come and enjoy a fantastic evening with great people splashing in a cool pool on a warm summer night, or relax and have some meaningful conversation with loving people in the pavilion...by the food! Sign-up form for swimmers and those bringing food below! Join us for a special one night event with Safe Families, a ministry of hospitality to families in crisis, helping keep children out of the foster care system, and see how you can make a difference! We are planning our second baptism service in our new facility, marking the first year we've been in our new facility! We look forward to celebrating this monumental step of faith with you! We will be commissioning parents and praying over babies as we dedicate these new lives to the Lord. If you would like to have your baby prayed over, email Corinne Miller. And, of course, we will have worship, prayer, and a message from our series in Nahum! Join us in watching the amazing talent's that God has given to the Harvest Church family! Whether it's musical, comical, physical, or just plain fun...we want to see you show off a bit for His glory! Arrow is raising funds for our mission trip this summer to Appalachia. Donate as desired per wash. Prayer is one of the most important resources we have - so why is it so hard to do sometimes? The reason is that we pray the same old things about the same old things. But prayer was never meant to be just "reciting the list" to God. Your prayer life can dramatically change forever, becoming deeper and more satisfying than you've ever experienced. How? Come out for this prayer meeting, and Pastor Jeff will teach you. Then we will put it into practice immediately. Financial Peace University: Free Livestream Event! 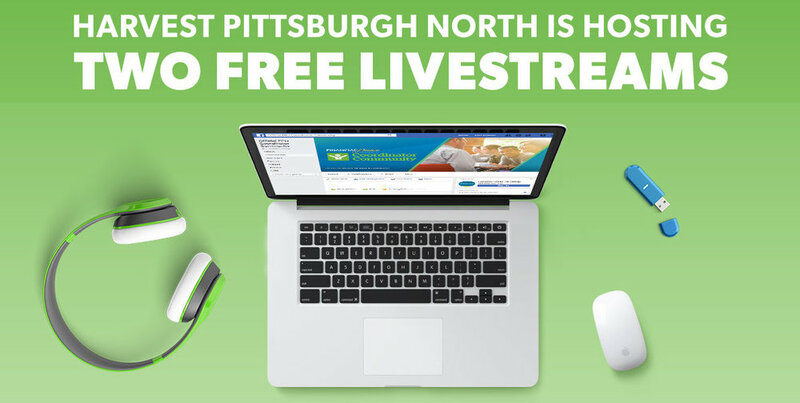 Harvest Bible Chapel Pittsburgh North is hosting a FREE livestream to help boost your Financial Peace! This night focuses on being smart with your money. Did you know that money, specifically compounding interest, is one of the most powerful tools we have to live in true freedom? Join us on Wednesday night! Bring a friend and learn how to be the top of the class with your money! Contact Alex Giannetti (Realtor) for any question or details regarding this event. No reservations needed, just show up and be prepared to learn!